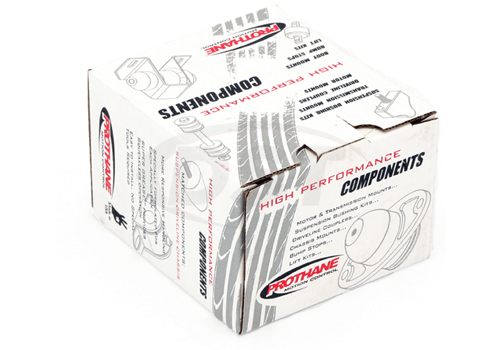 Prothane provides grease to install these parts, but you can never have too much. Grab an extra 3-pack of grease so you can more liberally apply grease when installing. Lifetime Warranty. Prothane guarantees all Prothane Suspension Parts to be free of defects in materials and workmanship (not due to abuse, neglect or misapplication) for the total time the vehicle remains with the original purchaser of the product(s). Should the products fail to meet these conditions, Prothane will replace the product, free of charge. This excludes any and all related labor charges. The product must be shipped to Prothane (postage prepaid) along with a copy of the original receipt." Polyurethane. Sway bar bushings only. 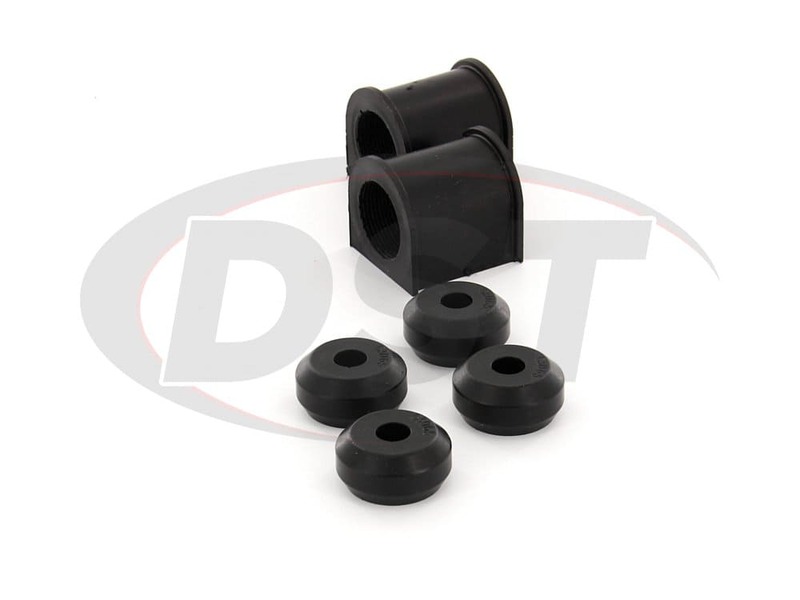 A sway bar bushing plays a huge role in your suspension, so don't settle for rubber. 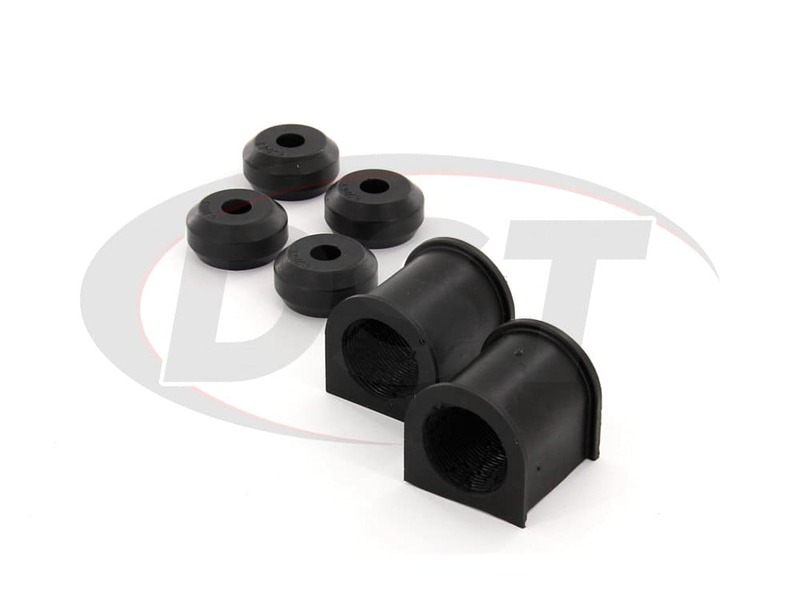 Prothane Sway Bar bushings are made of polyurethane, much more durable material for suspension bushings than rubber. Polyurethane does not break down due to road grime, weather or oils the way the rubber can. 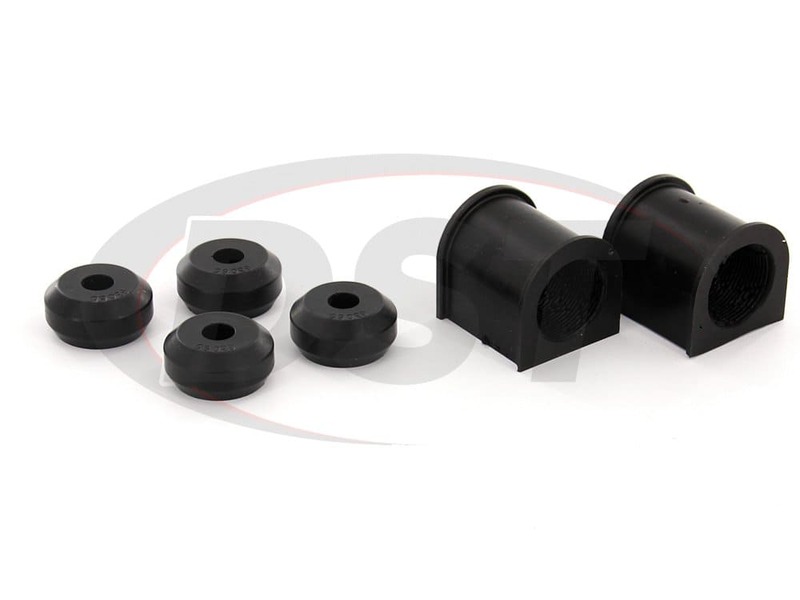 Have the peace of mind knowing you have a long-lasting part on your sway bar with Prothane's sway bar bushings. 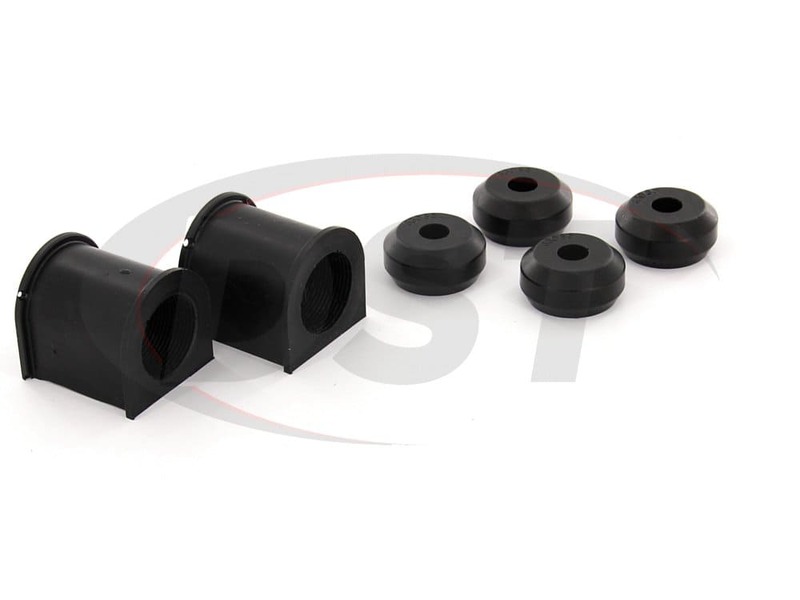 Prothane's polyurethane sway bar bushings provide a secure grip on the sway bar and do not warp over time. With this snug grip, your vehicle will see a performance boost similar to installing a larger sway bar. A sway bar's function is to maintain the maximum amount of road contact during tires. The sway bar is held to the frame of the vehicle with a sway bar bushing. Original Equipment rubber can warp and/or crack, losing its grip on the bar. This causes your sway bar to lose its effectiveness. Just look at the old rubber sway bar bushing to the left. Imagine how good of a grip that thing could keep on a sway bar. Go with Polyurethane. 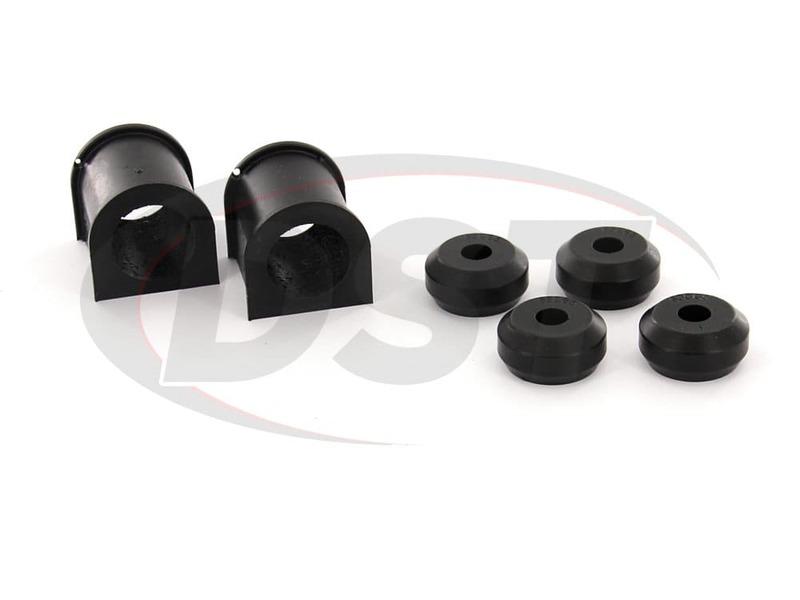 The metal sway bar rotates inside the sway bar bushings, so be sure to use the supplied Prothane's Super Grease to lubricate the bushings during installation. Its super important that you lubricate each bushing well to prevent any squeaking. If you'd like some extra grease just in case, pick up an extra 3 pack. Black, or Red? Red, or Black? Prothane makes bushings in both colors. But is there a difference in them? Is one harder than the other? There are a lot of misconceptions about the color difference in Prothane's bushings, so let us at DST clear that up for you. How are these two colors different? Aside from the actual color, there isn't really a difference at all between the red and the black. They are the same durometer, or hardness, so they will perform the same and both should last the life of your vehicle. What about the graphite rumor? The black bushings do have a small amount of graphite mixed in with the polyurethane which has the potential to help with squeaking. 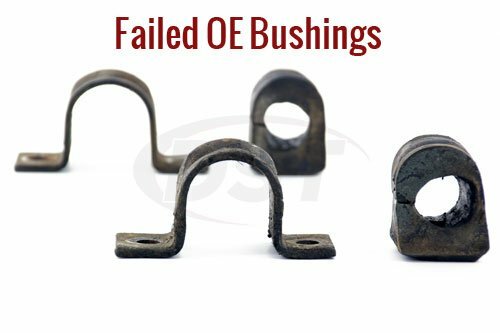 But really, the best way to prevent Prothane bushings from squeaking is to use the supplied pre-lube and grease them properly at install. So whether you choose the red, or the black, just be sure to grease them properly to avoid any squeaking. What does Special Order mean? This part is currently only in stock in Black. However we can have the part shipped directly to you from the manufacturer Prothane in the color Red if you would like. 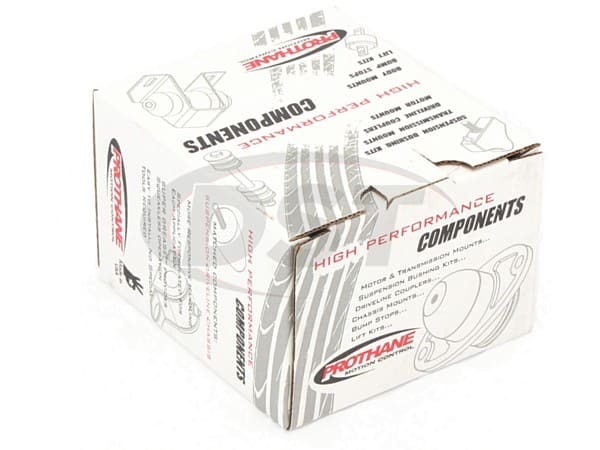 Special orders from Prothane typically arrive within 2 weeks. We will pay all special order fees. Purchasing a special order part will not cost you any more than if we had stocked it. For all orders shipping to the United States - the part will ship directly to you from the manufacturer. If you've purchased other parts along with a special order part, we will pay the additional shipping costs to ship the rest of your order immediately. Essentially we will give you combined shipping despite the fact that we will be making 2 shipments. For all orders shipping outside the United States, this part will be shipped directly to our forwarding office. We will fill out the necessary paperwork and forward the part on to you via your selected shipping option. If you've purchased other non special order parts - your entire order will wait to ship until this part has arrived. Special Order parts do not qualify for returns. If you purchase a special order part we will not be able to assist you with a return. If your special order part is damaged, or missing a piece we will assist you in promptly receiving the correct order. "Prothane" and the Prothane logo are trademarks of DEE Engineering, Inc. Used by permission. ProthaneSuspensionParts.com is Copyright ©2004-2019. All Rights Reserved.